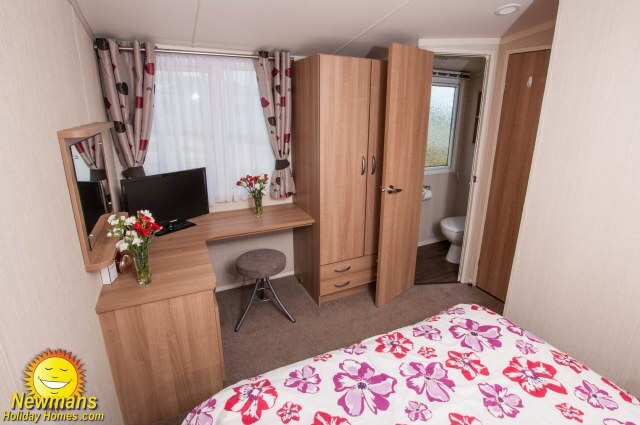 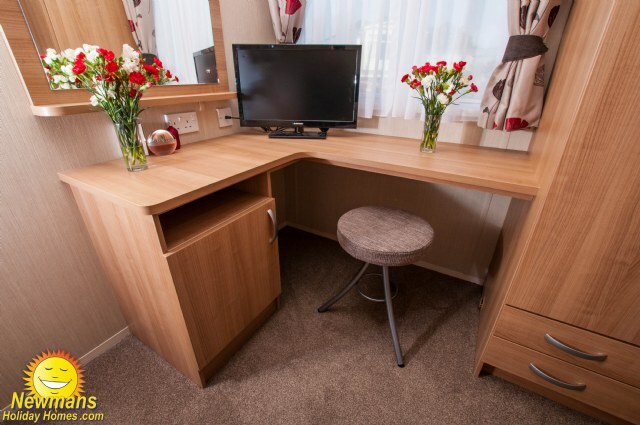 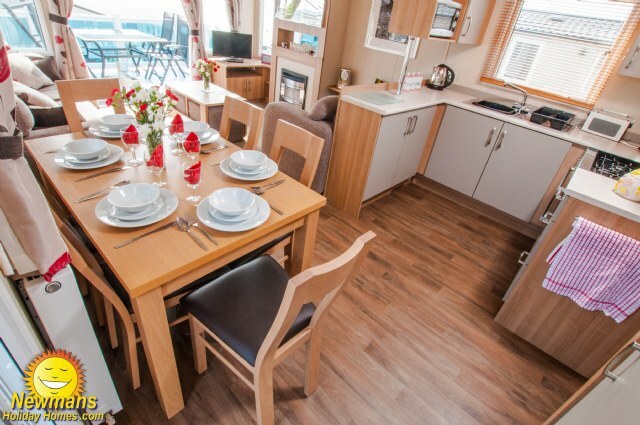 OV24 is a beautifully designed model non-smoking Swift Bordeaux Platinum 3 bedroom holiday home. 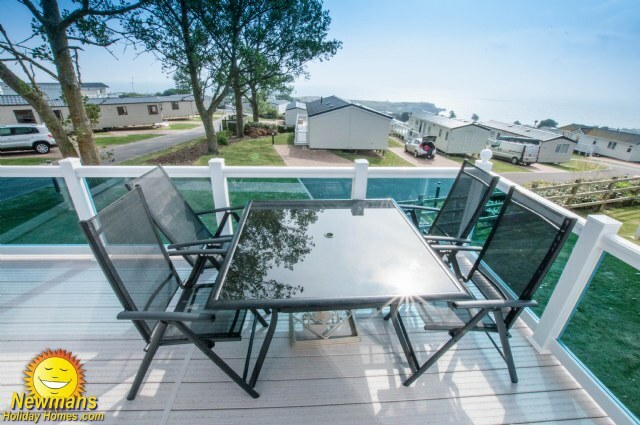 Offering the benefit of a great location with lovely sea views, large gated veranda with patio furniture, en-suite to master bedroom, central heating, double glazing, 2 x toilets and parking. 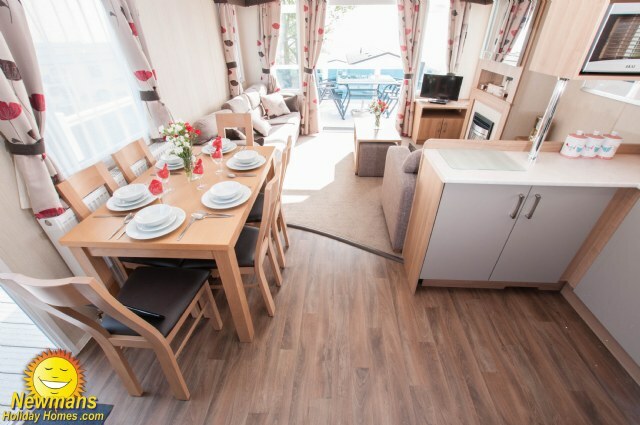 LOUNGE; Incorporates ample contemporary free standing sofas, unique interior design and features makes for a spacious interior. 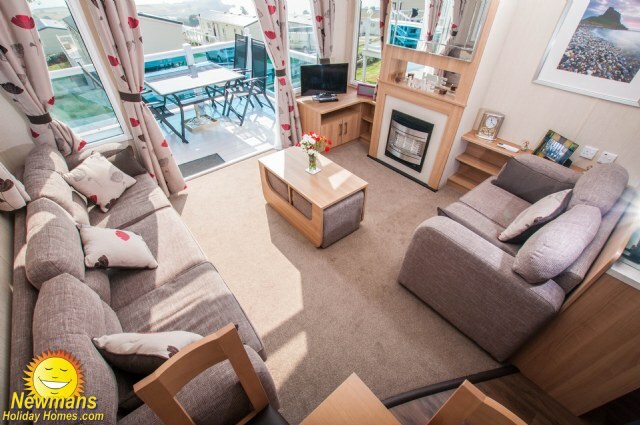 OV24 elegantly combines a traditional feel with modern style and contemporary colours providing a welcoming, bright and relaxing atmosphere. 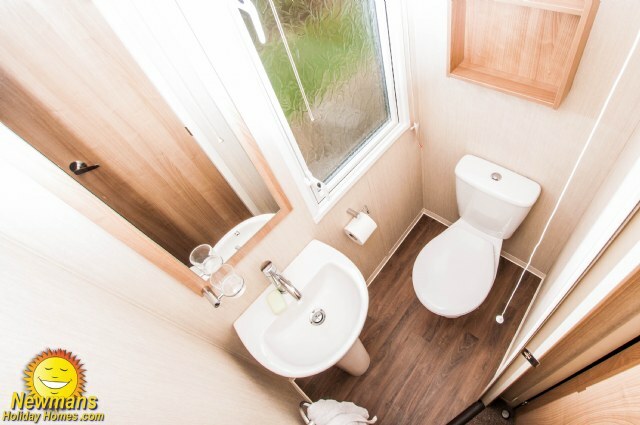 This holiday home benefits from a LED TV, Blue-ray DVD, Free view, IPod dock, coffee table, upholstered cube stools and contemporary gas fire. 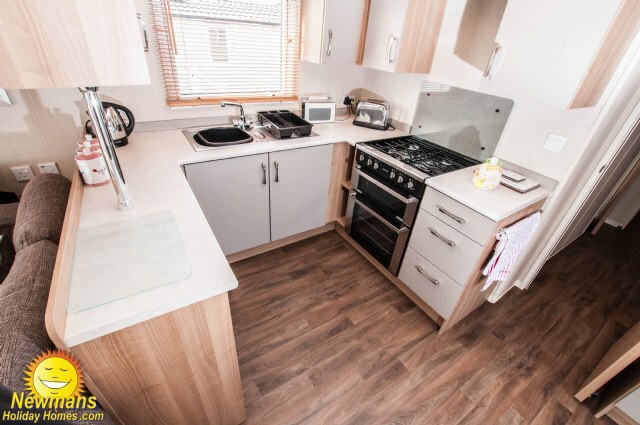 KITCHEN & DINING AREA; Well-appointed kitchen furnished to a high standard with appliances inc full size integrated fridge and freezer, microwave, 4 ring hob with electric ignition, cooker and extractor fan. 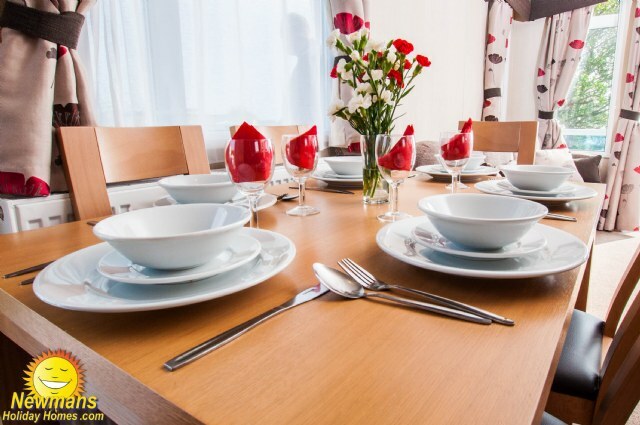 The dining area is spacious and benefits from a comfortable free standing table and chairs. 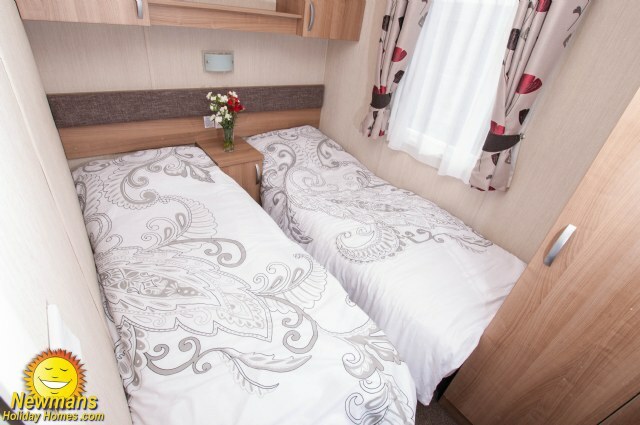 BEDROOMS; this accommodation has three bedrooms, one spacious double benefitting from a double size bed, over bed storage, vanity area, fitted wardrobe and en-suite toilet (there is room to fit a travel cot in front of the wardrobe). 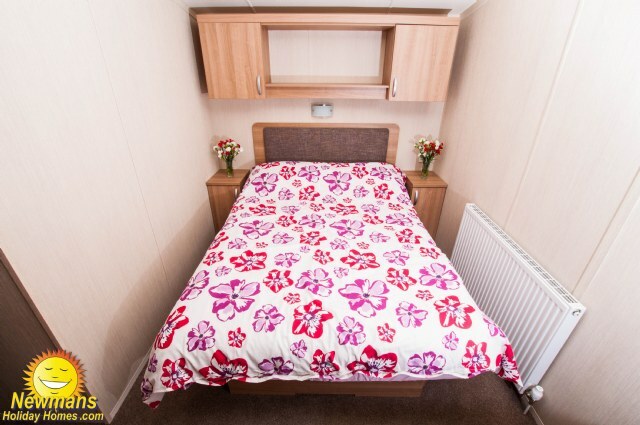 The master bedroom also benefits from a LED TV. 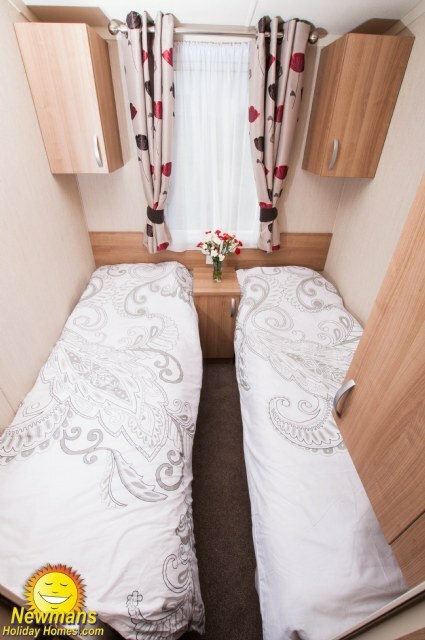 Well-presented twin rooms both with fitted wardrobes. 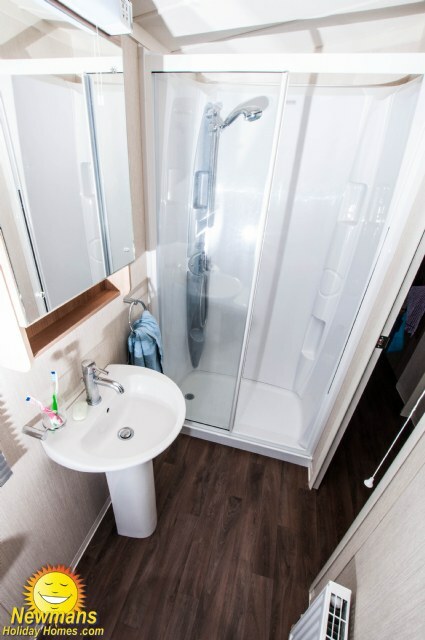 BATHROOM & TOILET; OV24 benefits from a fully fitted shower room fitted with full size shower with glass door, toilet and wash basin. 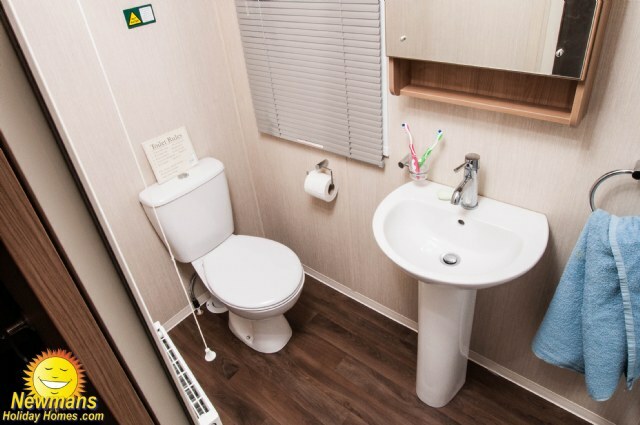 OV24 benefits from having 2 toilets. 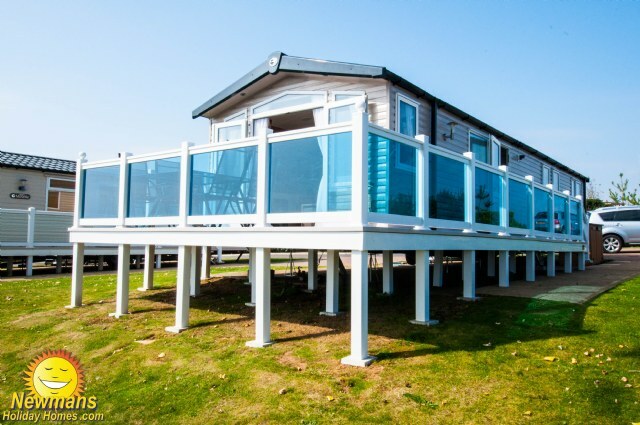 VERANDA; Yes, to enjoy the fantastic views OV24 has a large front veranda with patio furniture making it ideal to relax & unwind. 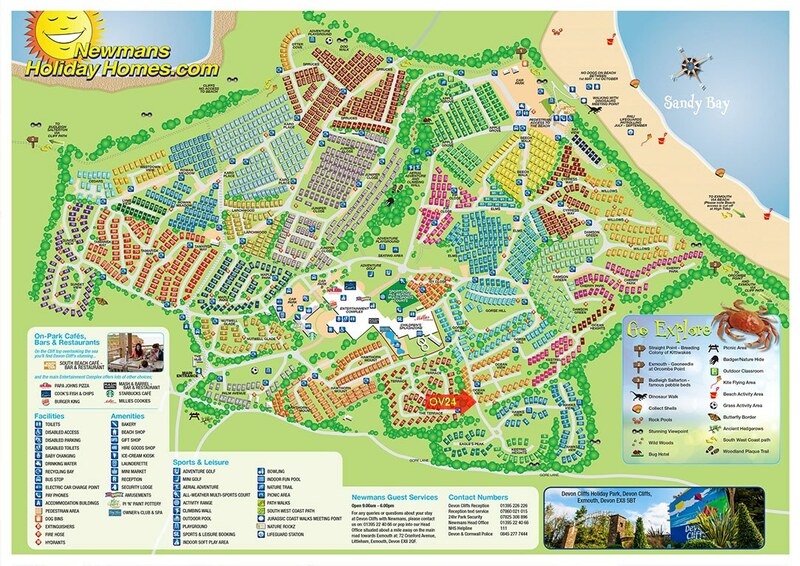 DISTANCE TO MAIN AMENITIES; approx. 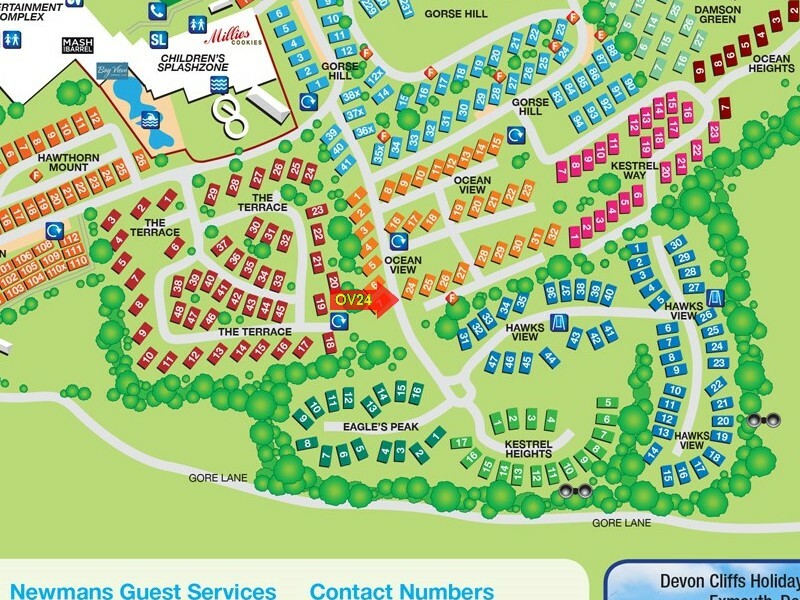 4 to 5 minute walk. 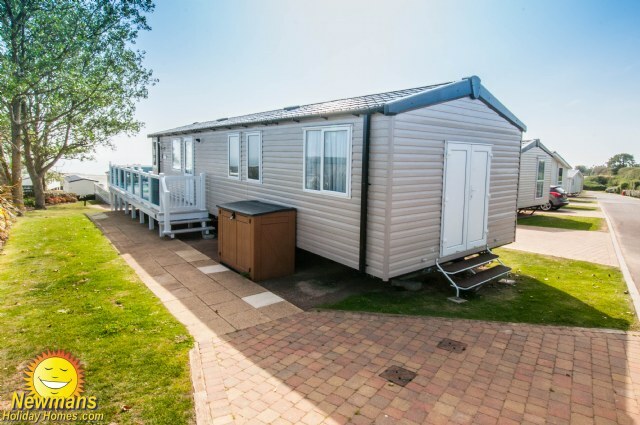 NEAREST CARAVANS FOR GROUP BOOKINGS; To find the closest caravans for group bookings please click Browse Caravans at Devon Cliffs, then select either Ocean View (OV) , The Terraces or Kestrel Way from the Park Area list and click Search.